It is with a very heavy heart that I type this post. I got a call from my buddy Michele yesterday, which I should have known right away was a bad thing since we rarely call each other on the weekends because we are so busy. 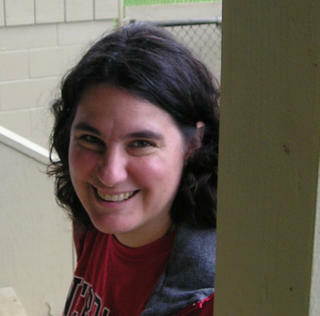 Our friend and fellow stamping diva, Joanne, passed away Friday night. I think I said, "Wait...What?!!" about 5 times on the phone. It is a shock to say the least. Joanne was just the nicest person. She had a kind heart and a sunny disposition, complete opposite of me. 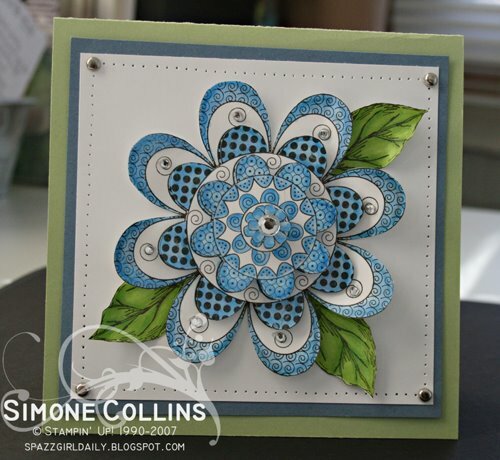 She was a very talented stamper and cardmaker. She loved her family and friends and it showed. And she will be missed very much by anyone who knew her. The first time I met her, she brought along this card as our project of the month. And it's still one of my favorites. I'm glad I never sent it to anyone. I know Joanne is in heaven now where there are unlimited Copic makers, cardstock in every color you can imagine and your letter stickers never run out of the letter E.
She's making cards for all the angels. It just reminds me again to tell the people in my life how cool they are. To tell my family that I love them. Hug my friends extra tight. And make sure that everybody knows that they mean something to me. Joanne, I will miss ya. The divas won't be the same without you. I was lucky to have called you my friend. I'm so sorry. May her Memory be Eternal. So well said! I just found your blog through SCS, and I was an online fan of Joanne and the recipient of so many kind comments! Thanks for sharing this card; it is gorgeous! so sorry about your friend. Life is too short! i'm so sorry to read about your friend, Simone. thoughts and prayers to you and to her family.